Deliveries are par for the course in warehouses all over the world. Warehouses receive shipments all the time. If you want your warehouse to operate smoothly and efficiently, then you have to prepare carefully for all kinds of deliveries. Lack of preparation can lead to chaos and confusion. It can sometimes even result in parcels getting lost. You can prepare for an upcoming warehouse delivery by figuring out whether you’re supposed to sign for anything. If a representative from your warehouse needs to sign for a shipment, you need to know that in advance. It can be stressful to miss out on an important delivery just because no one was assigned to watch for it. Keeping your warehouse employees in the loop regarding deliveries can be wise. This can be particularly helpful any time you’re waiting on a major shipment. If you inform your team members of deliveries beforehand, this minimizes the odds of people unintentionally ignoring shipments. Your aim should be to have a few “on call” team members during the typical delivery timeframe. It can also be a good idea to recruit a specific team member to manage any and all deliveries. If you do this, you eliminate a lot of potential confusion. Find a particularly responsible employee to handle shipments that are on the way. That way, you know who to talk to regarding any questions or potential problems. This employee can wait around for used freightliners from Arrow Truck, for example, which accommodate delivery requests. 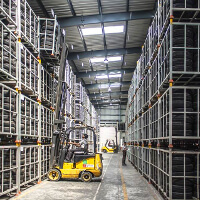 Warehouses that are full of clutter usually cannot accommodate more things. 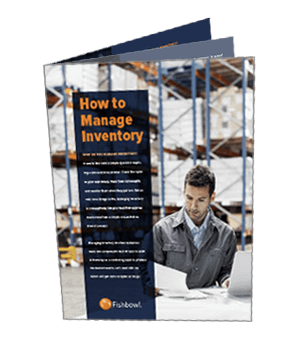 If you want to get your warehouse ready to accept brand new shipments, you have to make sure that it’s as tidy and organized as possible. That may involve some major cleaning work. It may even involve getting rid of things that are no longer required in your workspace. If you spot tools and equipment that your team members no longer use, throw them out. You can also donate them. Your aim should be to free up space for more productive purposes. The more space you have, the less you have to worry about not having adequate storage space for deliveries in the future. Warehouse employees expect deliveries of all kinds, day in and day out. That’s why warehouses need to have logical and methodical acceptance systems in place. Organization can make the delivery acceptance process a lot simpler.